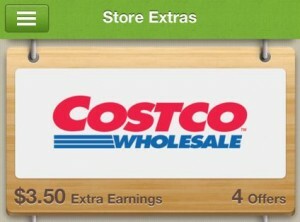 There are now Ibotta offers available to use at Costco! This is a great way to save on items you already purchase and can be used on top of in-store deals or coupons. This app is simple to use, and if you have a smartphone, you can start saving money on all kinds of items when you submit your receipt to show for qualifying items as purchased, plus it doesn’t take long to get the money back either! If you are not familiar with Ibotta, you can learn more about it here.